We are located in the heart of Gainesville, Georgia from where we provide our solar services throughout most of the state for commercial work. 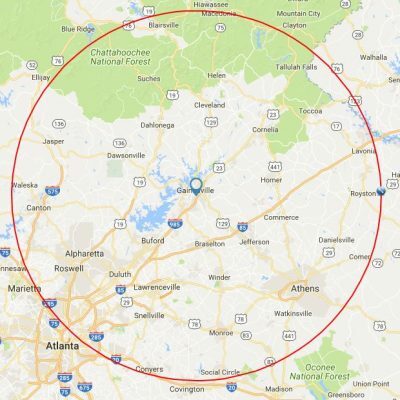 For residential installations we cover from Gainesville north to the borders, south into northeast metro Atlanta, and east including and beyond Athens. Please click here to learn more about SVE and all we can do for you!